Kit Camp is a modest guy. He would probably never call himself a master finish carpenter. But he’s published a whole bunch of articles in Fine Homebuilding magazine and the editors are pretty good at vetting potential authors, so getting in the door to begin with isn’t easy. Then they visit their author’s job sites, and if the author doesn’t deliver, the article doesn’t get published. So, it’s likely that Kit is a pretty good, probably great, finish carpenter. Kit doesn’t spend much time on job sites these days, though, except for his own remodel. 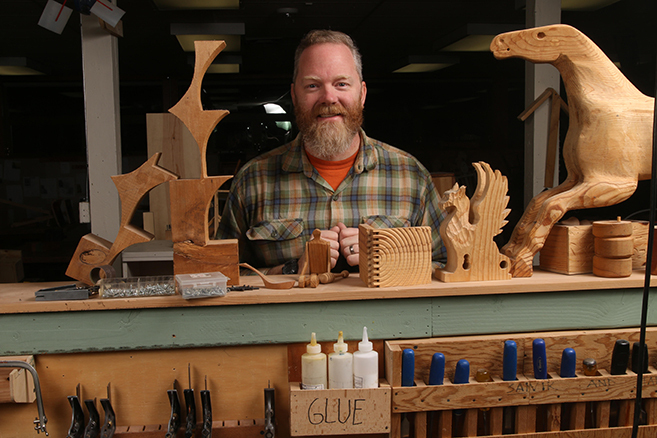 He’s made the switch to teaching woodworking to middle and high school students. With a background that includes training at the College of the Redwoods, a stint as a boat builder, and a long time as a finish carpenter, all before becoming a full-time teacher, Kit has spent his career keeping craft alive. We recently exchanged email in which I asked Kit about his background, experience, and his advice for anyone considering a career in the trades. You can read his responses below. BP: How did you get into the trades? KC: After college, I was interested in pursuing woodworking, inspired by the books of James Krenov, an innate curiosity about wood and tools, and a childhood spent running around in the woods behind my house with a knife and hatchet. I wanted to attend the program founded by Krenov, but felt I needed more experience. I found the Northwest School of Wooden Boatbuilding and attended for six months in 1997. That led to a job building traditional wooden sailboats for a couple of years, after which I applied to College of the Redwoods and was accepted. I attended the school in 2000-2001. This led to my first teaching job and eventually to ten years as a finish carpenter. I had no actual training in finish work. During those early years (and still today) I was a compulsive reader of everything I could get my hands on about finish carpentry, both online and in print. I devoured the Breaktime forum that FHB hosted as well as the JLC finish carpentry forum. BP: What were your year as a carpenter like? KC: I focused almost exclusively on finish carpentry, as I felt it played to my strengths, and I was interested in the work. My first two years were spent working first for a GC, then for a stair building specialist. After that, I got my license and became self-employed. I worked regularly with my brother, Alex, who is an architect and builder. The last couple of years I was in business I did lots of door-hanging work with my friend and frequent partner, Mick Bueno. 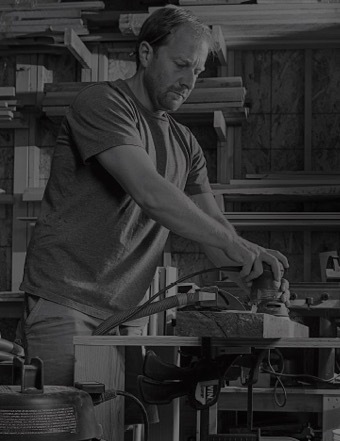 I loved the work itself—the tools, the material, the reward and challenge of working efficiently and precisely, the “flow state” I found when I was engrossed both mentally and physically in what I was doing, and the variety of running trim, building cabinets, hanging doors, building stairs—but I often found the business side of the trade to be frustrating. The lack of stability, the challenge of finding rewarding work, and the stress of chasing down payment for the work I’d done definitely wore me down over time. BP: At some point you became an author for Fine Homebuilding magazine. How did that happen? 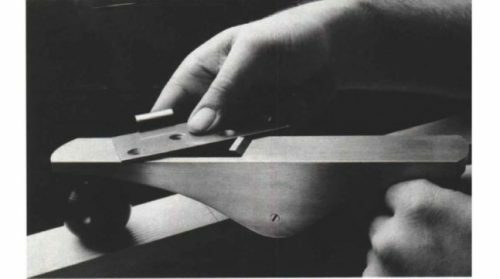 I contacted FHB in 2002 because I was interested in trying out a tool I had heard about (a Festool jigsaw) and wondered if the magazine would like me to review it. I knew the magazine was reader written and I was a subscriber. I was an English major in college and had always liked writing, so I figured “Why not?” I have been doing it ever since. I ended up meeting and working with my partner Mick in part because he recognized me from the magazine. BP: When did you make the switch to teaching? How did that come about? KC: I actually taught woodworking to kids, pre-school through grade 8, for four years before I became a finish carpenter, right after I attended College of the Redwoods. That first teaching job happened through a combination of luck, good timing, a great friendship, and some innate talent and love of working with kids. I had dreamed of becoming an English teacher when I was a high school student, but the desire to teach that subject had worn away by the time I finished college. When the opportunity to work with kids doing something that I loved presented itself I couldn’t say no. I switched from teaching to contracting when we moved from Las Vegas to San Diego. I was interested in the trade and burned out on teaching at the time. Things were booming and I lined up a job before we even moved. BP: What is your current role? KC: I teach woodworking to middle and high school students at The Catlin Gabel School in Portland, OR. BP: You said that the business side of the work wore on you. What could you have done differently to prevent that, what advice would you give to someone who is considering entering the trades when it comes to the business side of the work? KC: I think that finding a mentor for the business side of things would be really smart for folks entering the trades who hope to own their own business someday. I was good with the tools, but really, looking back, did not have enough knowledge about the business of contracting. How to find the right kind of jobs, how to bid them, and how to get paid can all be challenging, especially in places like Southern California where competition for work is fierce and there is a surplus of people to do the work. When I went out on my own it had as much to do with having a young family and desiring more flexibility as it did with wanting to be my own boss. BP: Is your current position full time? Do you work as a carpenter at all these days? KC: My teaching position is full time plus some! I don’t do carpentry for pay anymore, though I am currently in the middle of remodeling our house. I also like to help friends when I get the chance. BP: Who takes your class? 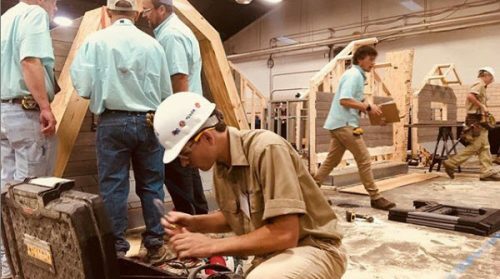 Are your students serious about getting into the trades? KC: I am in a different position from many woodworking teachers out there. The school I work at is a progressive, independent school. Every student here from pre-kindergarten to seventh grade takes woodshop. From eighth grade on it becomes an elective. 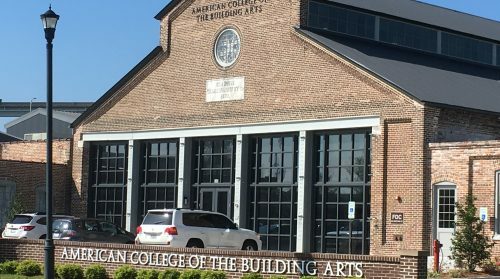 My classes are considered part of the art program, so I don’t focus on preparing students for the working world in a direct way. Instead, I focus on things like independence, thinking in three dimensions, creativity, hard work and self-discipline. BP: What are the challenges and rewards of teaching woodworking to young students? KC: The challenges for me are often logistical. Trying to keep all the hand tools sharp, the shop clean, and the machines tuned is tough. It is also always a challenge to balance my ultimate desire for the kids to build what is interesting to them with my sometimes competing desire to teach them specific techniques, joinery, etc. Safety is always on my mind as well, especially with my older students who are using more machines. The rewards are plentiful! I work with an amazing and inspiring group of colleagues, especially my two partners in the shop who teach the younger students. I get to be caught up daily in the energy, enthusiasm, and creative thinking of my students. I love working with middle schoolers (and high school students, too). I get to help them do things that very few people, adults or kids, get to do any more. And I hope to have some influence in how they look at the world, the people in it, and the objects that they choose to surround themselves with. BP: Having experienced the trades from many angles what advice would you give to someone considering a career in the trades? KC: I think to maintain a rewarding, long-term career in the trades a person needs to be passionate about what they do. If you’re focused on an area that you really enjoy, then you’re going to be motivated to learn all you can, do excellent work, explore the latest in materials and tools, and talk to other tradespeople about what they do differently from you. As you get older and your expertise grows, you hopefully will find that you like to pass that knowledge on, too. The trades can be tough on your body and you will have to hustle to find work. There’s lots of competition out there. All of that’s not worth it if you’re just punching the clock. Find what you’re good at and what keeps you intrigued. Click HERE for a collection of Fine Homebuilding articles written by Kit Camp, where he shows you step-by-step how to tackle challenging carpentry tasks.